2009 Tour Champ has close escape! You are here: Our Golf Tour » Misc » 2009 Tour Champ has close escape! 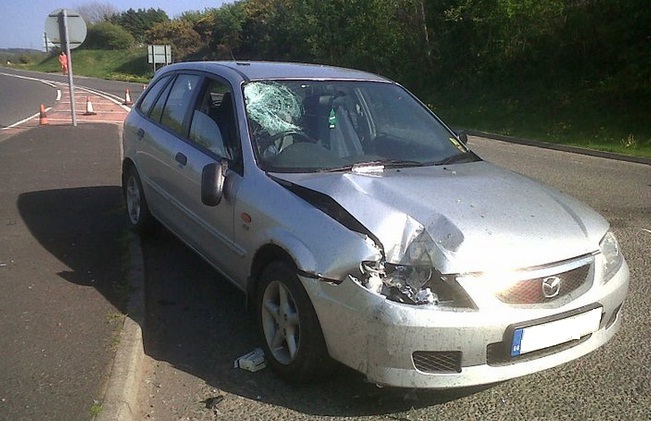 Steve was sitting minding his own business at the Milton road end on the A69 when two cars collided and then hit him. The accident closed the A69 this afternoon and I am pleased to report that although shaken and a little sore he is fine. The same can not be said for his car! You may not get let off that easy as you were parked not driving.